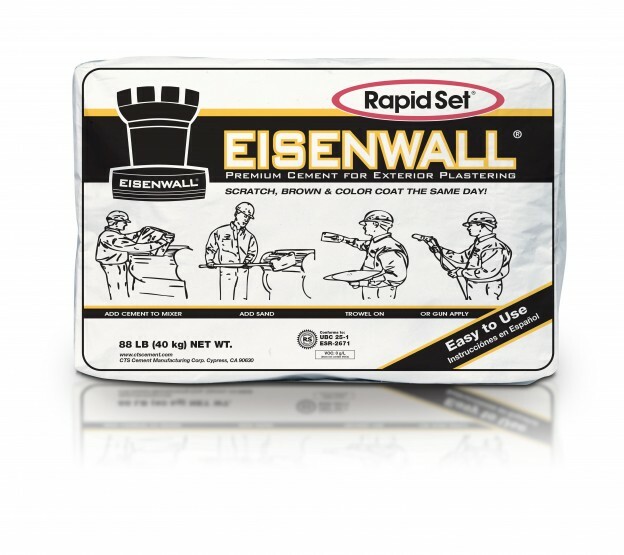 Rapid Set Eisenwall | Salmon Bay Sand & Gravel Co. Rapid Set® Eisenwall® is premium hydraulic cement used for exterior plastering, one coat stucco, and plaster wall repair applications. Extensive project experience has proven Eisenwall® to be a fast and durable plaster wall solution for any exterior plaster or stucco wall project.